NCLS Support Education Program (SEP) is celebrating its 13th anniversary! With all of the group members’ tireless and selfless contributions and efforts, NCLS board leadership, parents and teachers’ support and students’ participation, this program has become one most prominent community service programs in Massachusetts. You are cordially invited to join this year’s fundraising dance party on March 23th, 2019. Come for a wonderful night celebrating the coming of spring, and have fun! Contributions to the SEP cause will go the impoverished families of Jiangxi province. 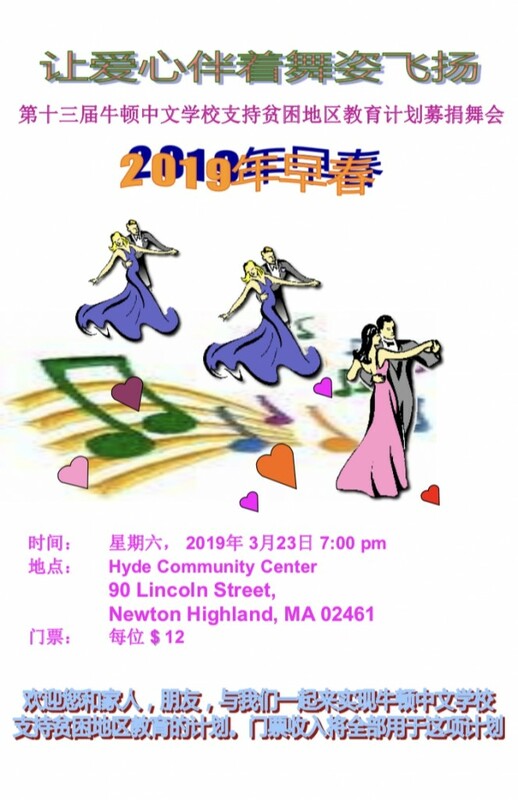 Come support our local community in promoting education in China. SEP works to help those in need. Each year, student participants work to raise money for provinces in rural China; this year, the students will be taking a trip to the Fenyi middle school. This trip serves to allow our students to be immersed in Chinese culture, learn about their own environments in contrast to China’s and to better help those in need. If you have any questions regarding the dance party or the SEP program, please contact Yan at yyan5221@yahoo.com. Please see the party details in the attached flyer. Join Us! The 2018-2019 SEP program registration is open now!